Several dietary habits and lifestyles can be associated with different headache types or with their progression to chronic forms. Different population-based studies have tried to investigate this relationship with poor or contradictory results. We shortly reported the current knowledges available in literature in this regard, paying particular attention to the role that certain factors play in modifying frequency and intensity of headache in adults and in adolescents. Future studies are necessary to clarify the real weight which the different factors have in natural history and in clinic evolution of headache, especially in adolescence, but the already known data suggest an important modulating action. If they will be confirmed, these results will be likely to influence clinical practice as well to address educational programs in preadolescents and adolescents. Headache is one of the most frequently reported health complaints among adolescents. Epidemiological studies showed that 58.4 % of children and adolescents report headaches, with higher prevalence in females [1, 2, 3, 4, 5]. Migraine occurs in 5–11 % of the adolescent population and tension-type headache (TTH) in 5.1–18 % [1, 2, 3, 4], while the prevalence of chronic daily headaches is estimated to be around 3 % . Several studies investigated the potentially modifiable factors associated with headache and with its progression to chronic forms . Eating behaviors and lifestyle may be factors of risk associated with headaches and its progression. In the last years, this issue was mostly investigated in adults, while to date poor evidences are available in children and adolescents. Several studies evaluated the role of lifestyle for the onset of headache in general and for specific headache types. In addition, dietary habits and single lifestyle factors, as alcohol and caffeine consumption, smoking status, physical activity and body mass index, were found to be associated with headaches in adults [7, 8, 9]. Several studies found no association between alcohol consumption and headache prevalence [10, 11] as well as alcohol consumption and headache subtypes . In contrast, Aamodt et al. found a significant decrease of migraine prevalence with increase of alcohol consumption among 51.383 participants of the Head-HUNT Study. In a recent population-based study in Sweden , women, but not men, who sometimes to often consumed large amounts of alcohol, more often complained recurrent headache and migraine. In a Dutch study , alcohol consumption tended to be associated with a decreased but no significant risk of experiencing migraine and TTH. A possible association between smoking and headache was investigated in recent years with contradictory results [7, 12, 13, 14, 15, 16, 17, 18]. In a longitudinal study , the risk of frequent headache was increased among smokers in childhood and adolescence but not in adulthood. The consumption of coffee or caffeine-containing beverages was found significantly more frequent in migraineurs than in non-headache subjects . Its chronic and excessive use was shown related to chronic headache types, such as migraine and TTH  and to negative effects on health, such as insomnia and psychomotor agitation, which in turn can cause headache . Some foods and beverages are commonly considered to cause headache and particularly migraine [22, 23] and the reduction of their average consumption was associated with a reduction in the monthly frequency of headache . Takeshima et al. suggested that foods high in fat increase the risk of migraine and daily fish consumption plays a protective role in the Japanese population. In contrast, Medina and Diamond  reported that diet appeared to be relatively unimportant in migraine attacks. In fact foods, such as cheese and chocolate, long considered important triggers of headache attack, are to date thought to be less powerful in this regard . Some published studies found associations between headache and skipping meals, in both adults and adolescent [7, 26]; in contrast, Takeshima et al. denied a significant association. The fasting appears to be an important precipitating factor for headache attacks and individuals who fast may more easily develop fasting headache . Thus, subjects who already suffer from headache, especially TTH, may develop headache more frequently during prolonged fasting, as during Ramadan, Yom Kippur [28, 29, 30] or preoperative fasting . These data may suggest that diet and eating behaviors can play an important role in modifying frequency and evolution of headache. A regular and frequent physical activity was reported to reduce severity and frequency of headache [32, 33]. Studies investigating the potential association between physical activity and headache prevalence found contradictory results [7, 17, 34, 35, 36, 37]. In a prospective study , subjects with low physical activity had at baseline a higher prevalence of headache, especially of migraine. After 11 years of follow-up, physically active group, compared with inactive group, complained less headache, especially less non-migraine headache. Some studies investigated a possible association between BMI and headache in adults, and a greater body weight (overweight and obesity) seems to correlate with increased clinical severity of migraine [6, 38]. Peres et al. were the first assessing primary headache diagnosis in obese patients and migraine was the most common diagnosis, while chronic daily headache (chronic migraine and chronic TTH) was present in 12.2 %. In 2008, Keith et al. reported that a BMI of ~20 was associated with the lowest likelihood of headache, while obese women had significantly increased risk for headache. On the other hand, an increased risk of migraine in underweight subjects  was also recently reported, making the correct understanding of the relationship between body weight and headache even more difficult. Anecdotal evidence suggests that a healthy lifestyle including regular physical exercise, healthy diet and weight control may improve headache in children and adolescents. However, a few population-based studies are available in these issues in children and adolescents [19, 42, 43, 44, 45]. A limited number of lifestyle factors were evaluated as smoking [19, 42, 45], physical inactivity [42, 44], consumption of alcohol or coffee . Smoking is associated with headache in adolescents  and may have a negative influence on the course of headache. A cohort study  investigated the relationship between smoking and frequent headache. The risk of frequent headache was increased among smokers than nonsmokers (OR 2.16, 95 % CI 1.39–3.35) both in childhood and in adolescence, but not in adulthood. In contrast, subjects who suffered from frequent headaches in childhood/adolescence were then 2 times more likely to smoke in adulthood than those without headache (OR 2.20, 95 % CI 1.3–1.7). A recent study  investigated the association between diet, lifestyle factors and different types of headache in adolescents. A total of 1,260 adolescents of high schools filled in questionnaires in which a wide range of factors were evaluated (intake of meals, coffee, non-alcoholic and alcoholic drinks, smoking and physical activity). Smoking (OR 2.7; 95 % CI 1.4–5.1), physical inactivity (OR 2.2, 95 % CI 1.3–3.7), high consumption of cocktails (OR 3.4, 95 % CI 1.9–6.0) and coffee (OR 2.4, 95 % CI 1.3–4.7) were significantly associated with migraine plus TTH episodes. Consumption of coffee (OR 3.4, 95 % CI 1.6–7.0) and physical inactivity (OR 4.2, 95 % CI 2.2–7.9) were particularly associated with migraine, while physical inactivity was related to TTH (OR 1.7, 95 % CI 1.1–2.7). No correlation was found between different headache types and skipping of meals. Recently, we reported the preliminary results of the first population-based study  performed in Italy on preadolescent/adolescent students to assess the possible association between headache and specific habits or lifestyle factors. 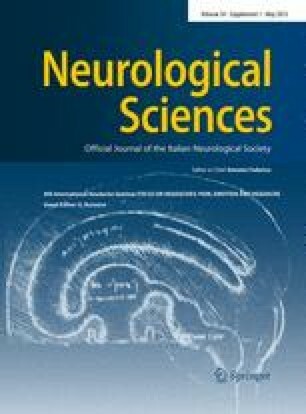 The data obtained from 800 students, divided in two groups (with headache and without headache), showed that headache patients were prevalently women (P value = 0.006), irregular meal consumers (P < 0.0001), particularly breakfast (P < 0.0001) and reported more frequent sleep disorders (P < 0.0001). Individuals belonging to the “worst forms” (i.e., who reported more frequent or more painful attacks) were also those who skipped more often meals and had more disturbed sleep. Coffee and drugs use, smoking, physical activities as well as “body mass index” (BMI) values were not associated with headache. In this study, the different types of headache were not assessed. To date, the data in literature about this issue are contradictory and mostly related to studies in adults. The available results are difficult to be understood, but it can be assumed that different socio-cultural backgrounds, in the different investigated populations, can influence the significance of the associations between various factors and headache. To date, there are poor population-based studies with a good statistic power and evaluating the risk stratified by types of headache. Further studies are necessary to improve our knowledges about the effective role of diet and lifestyle in headache and in its clinical types. Modification of lifestyle habits is a key preventive strategy in many diseases and could play a role in preventive strategies of headache, especially in childhood and in adolescence. In future, addressed educational programs would be desirable to inform and raise the awareness of the patients and their families and the knowledge of the operators who at various levels operate with children and adolescents.